These pages are dedicated to the Subarus that I own or have owned and projects. From left to right, 85 GL 4WD Turbo Wagon, in front of that 1988 Mitsubishi Sigma Galant, behind the trail, 1975 Porsche 914 2.0 (SOLD), next 87 RX(SOLD), under the white tarp garage, 86 4WD Turbo 3 Dr (gone to the great parking lot in the sky), next the 86 GL-10 4WD Turbo Sedan(SOLD), then the full size 92 Chevy Blazer. Notice the intake plenum, I ground away all the casting marks and gave it a different paint scheme. Not bad for a $70 car. The first Subaru that I owned was a 1980 DL 1600 4WD Hatchback, look at the license plate, you'll see why I called it 'Lewy'. Lewy has now been sold and is living in Kent, WA. If anyone sees Lewy driving around in Kent, honk, he'll appreciate it. 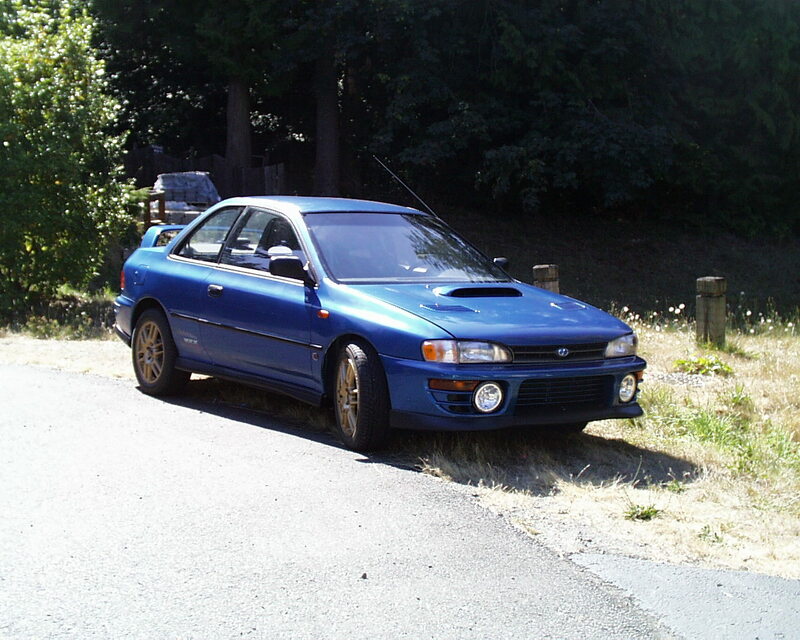 The next Subaru I purchased was a 2WD Wagon for my wife, it was a temporary car till I got her's fixed. It's a 1983 GL, automatic transmission. Sold to a couple in Marysville with 3 kids. Picture of trannys is in this order starting from left to right.